For their steadfast business acumen and community service, funeral homeowners Frank and Doris Bell posthumously received the gift of a street co-naming ceremony on Saturday, September 1, 2018. Public Advocate Letitia James, who is running for New York State Attorney General, said, “Honor the life and legacy of Frank and Doris Bell. 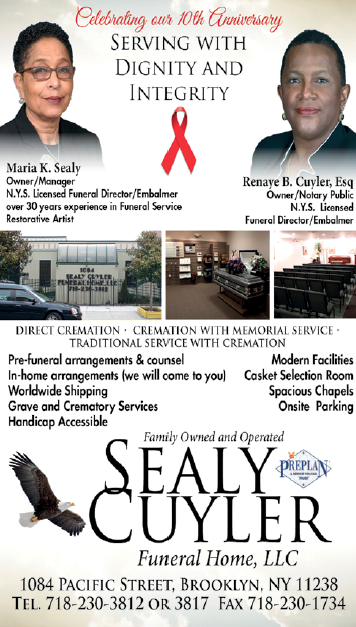 For more than half a century, this funeral home has been a staple of this community.” The Public Advocate explained the many times she went to the Bells requesting funeral services on behalf of a deceased veteran or homeless person. The Bells would always agree to do so. “The Bells so graciously gave of their time. This important family business has lasted so long due to good business acumen and their goodwill.” In fact, when the Bells gave James an award for her community service, the Public Advocate did not believe she deserved it. 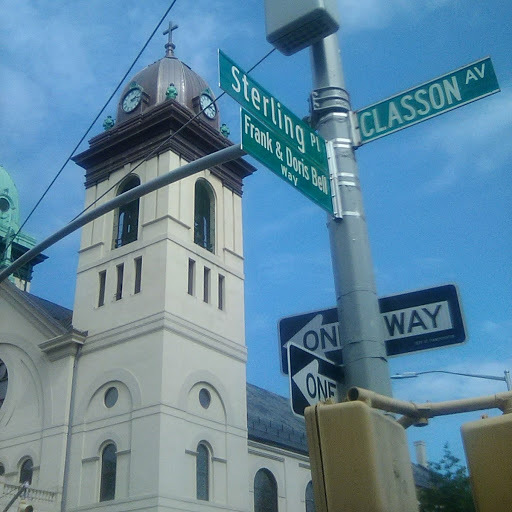 There is concern for the funeral home in terms of its particular work and for being Black-owned in the Crown Heights community. Many community leaders express their support of the business and wanting to keep the funeral home in this location. Civil Court Judge Robin Shears followed District Leader Alabi. Shears remarked on how expansive the Bells were in serving the community. “We thank them—the Kings County community—for their legacy as defined as a gift.” Shears thanked Frances Bell Henry for continuing the legacy. Judge Shears closed by admonishing the audience to, “Get your affairs in order to have the last word.” By this, she meant for each person in attendance to prepare for death by establishing a will. NYC Council member Laurie Cumbo (35th CD) came to the stage and stated, “Yes, we did this!” What Cumbo is referring to are the many actors involved in making the street co-naming ceremony a reality which is a testament to the Frank R. Bell Funeral Home’s warmth and generosity to the community. It is also a testament to over 60 years of Black business ingenuity and goodwill. The Council member profusely praised 77th Precinct Community Council President James Caldwell and Public Advocate Letitia James. The Council member took a moment to heartily support James’ run for NYS Attorney General. 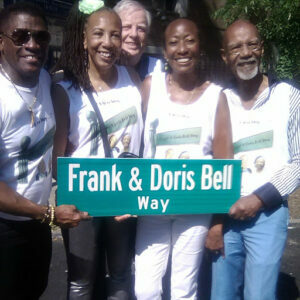 Staying on schedule, the crowd, which appeared to be at least 250 people, was directed to the corner of Sterling Place and Classon Avenue for the ceremonial unveiling of the street sign “Frank & Doris Bell Way” and the release of the doves. The guests were directed back to the front of the funeral home for a lunch consisting of vegetable salad, hamburgers and hot dogs. The program ended after over two hours of live and recorded singing and music.